During the 2016 Olympic Games, swimmer Michael Phelps’ won the 200-meter individual medley, skyrocketing the highly decorated athlete to new heights and breaking the record for the most individual victories—a standing that dates back to 152 B.C. Meanwhile, fellow swimmer, Katie Ledecky, was blasting the historic precedent she herself set in 2014 for the 800-meter freestyle. As insurers vie for market share against new competitors in a changing landscape, it’s time they started setting some records of their own. 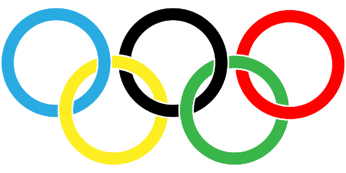 Each Olympic Games bring a new set of performance standards for athletes as they compete against standing records and new faster or more effectively skilled competitors. In the world of insurance, carriers are facing a similar situation. Consumers expect a far more customer-centered experience, and new market entrants are rushing to provide it, challenging current industry standards with faster, more efficient and customer-friendly services, platforms and products. Omni-channel interactions: Though most consumers want online interactions, digital alone isn’t enough. To claim the gold, insurers need to move beyond online portals, merging digital and traditional options into a single platform that allows customers to begin and end transactions across a multitude of channels. Product choice: Record-scoring insurers will offer a vast product selection, meeting all of a customer’s needs whether they require the more traditional home and auto coverage or the more unique offering affording protection for their precious drone. Pricing transparency: Given the rise of insurance price comparison tools, carriers need to offer pricing transparency to their customers. Medal-winning insurers will have the ability to bundle products from other carriers with their own, through a digital distribution platform, to meet the product and price needs of their customers without taking on additional risk. Just as Olympic athletes set records and went for the gold in the 2016 Olympic Games in Rio, it’s time for insurers to start scoring records of their own, setting historic standards in the areas of service and product choice that customers are demanding.